My violin instructor told me to get D'Addario purple top sensitive strings. Well there isn't any with just those descriptions. She says the retail for around $100. I see Zyex, Hellicore, Kaplan, etc. How do I know which ones to get? I bought cheap crap string and they're awful. I am no pro, but I have a very nice sounding violin. I played in high school for years and am getting back into it. Do you know what ones my instructor is referring to? I'm just gonna bet she meant Dominants as they have purple wrap at the peg end of the string and they are the most popular. But you are in need of strings at a very good time as Fiddlerman has just come out with his brand of strings which sound just like Dominants and cost just half as much. You can get them at fiddle shop or Amazon. I'm not sure which strings she is referring to but the best D'Addario strings are the Kaplan which do not have a purple winding. It sounds like the "super whale" of strings, where you clump up all the well-known characteristics of all the well-known whales into one super-whale ..which is the largest creature on earth, prized for its ambergris, dives to great depths to eat squid, occasionally gets lost in the San Francisco bay estuary, and has baleen all at the same time. This string sounds like a mix of popular strings: Dominants (purple top), sensicore (super-sensitive is the brand name), Kaplan (D'addario brand and retail for about $100), and Evah Pirazzi (very popular string that retails for around $100). Did my review,,,,,,,, I'm perfectly happy with the sound they produce. Hey.. Ken.. that is good to know. I know you have tried a lot of strings..and I value your input bud!! If you are looking for strings that retail for 100 dollars, and have purple winding, there are the Thomastik Infeld, PI strings. 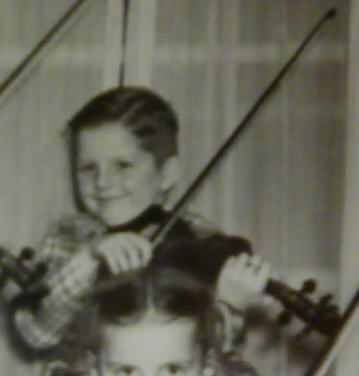 However, if your violin has strings that haven't been changed for years, or some cheap metal core ones, I second what was advised above, the Thomastik Infeld Dominant and of course the Fiddlerman Strings. They will make a difference.